Last time we discussed what your dog’s poop should look and smell like (try this conversation out at your next cocktail party… NOT). 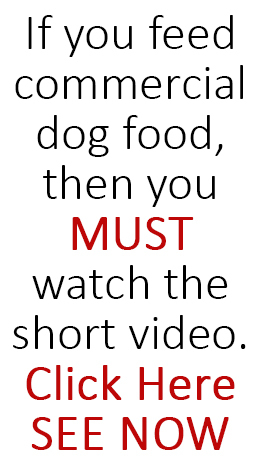 There some poop characteristics you should not see and today I’ll explain what each of them may be telling you about your dog’s diet. How can something so un-cute come out of a puppy? If it is chronic and avoiding cheese and changing to a better diet makes no difference there could be an underlying condition which your vet should take a look at. If you dog is eating too much dry complex carbohydrate, it could be absorbing too much of the water from its body during digestion and leaving your dog dehydrated and its poop hard. If you give your dog brown rice for example, try over cooking it so it is mushy (contains a lot of water). Is your dog drinking enough water? Some owners keep their dog’s inside and probably don’t walk them enough. Your dog will adjust by drinking less water because it knows it may not get another opportunity to relieve herself for quite while. If your dog has plenty of opportunity but still doesn’t drink, try creating a salt-less chicken stock and mixing it with water to add some flavor to your dog’s drinking bowl. Similarly, if your dog doesn’t get the opportunity to poop because you aren’t walking enough then the same problem manifests because the stool stays in the bowel too long. 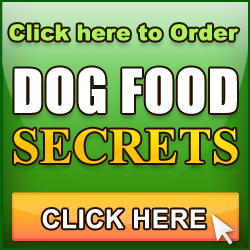 A sudden change in diet… believe it not changing from a poor diet to a super healthy diet can cause diarrhea and that’s why the Dog Food SECRETS Gold Pack includes a Canine Diet Changeover Guide which shows you how to do it without any of these problems. An intolerance to foods like cheese or wheat can have the same effect. Many commercial foods are filled with grains and then dyed brown to look like they are made from meat (true). Wheat, corn, soy and rice are all much cheaper than meat and are added liberally to your dog’s food. Wheat especially can cause irritation and diarrhea. If your dog’s stool contains blood, then it could be the result of an irritation in the bowel or higher up in the digestive tract mixing with the stool OR an irritation of the sphincter which is coating the outside of the stool as it exits your dog. 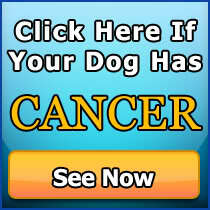 In either case this could be a serious condition and you should visit your vet for further investigation. The lower the quality of food you feed your dog the worse the odor you’ll get from her poop, her body and her breath. Unlike cats, dogs are not carnivores and should be eating a mix of high quality protein, fibrous carbohydrates and starchy carbohydrates. Commercial dog food is required by law to only have a guaranteed minimum of 9% protein… only 9%! And there is no rules about where it comes from, so you may be feeding your dog food which is only 9% VEGETABLE protein. When you feed your dog nutrient rich food, you’ll notice his poop is much smaller than when on a commercial diet because once his body has assimilated all the available nutrition, there will be very little waste. However, a dog eating commercial food will have much more waste because manufacturers pack their food with ‘fillers’ which are cheap substances with little or no nutrient value but provide volume so your dog has the full feeling and appears satisfied. One of the biggest changes I noticed when I first began feeding one of my dogs with home prepared food is he was not hungry all the time. I fed him approximately the same volume in the evening but he would not really be hungry again until late afternoon the next day. In fact, if I gave him food earlier he would bury it… whereas on the commercial diet he would be starving by late morning and I would have to feed him. Ok, I hope you found this poopy talk stimulating as I did! I plan to buy your Gold pkg. I have a Lhas Apso that I rescued 9 months ago. He has never liked any dry or canned dog food, even the expensive, grain-free kind. I have given him table scraps and recently found a hamburger and rice homemade recipe online to which I added tuna and omega 3 fatty acids. He likes that but I want him to have some variety. Do I still need to do the transition diet?